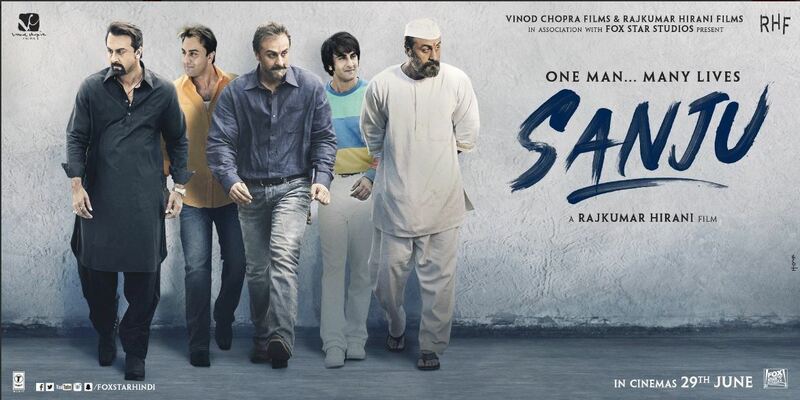 Sanjay Duttt’s controversial life is brought to screen by Rajkumar Hirani with Ranbir playing the lead role of Sanjay Dutt. The film starts with the Supreme Court’s judgement in the Arms Act against Sanjay Dutt, giving him 5 years of prison and a month’s time to surrender himself. He turns to an established writer Winnie Diaz ( Anushka Sharma) to pen his biography. Though reluctant at first Winnie goes through Sanju’s life as a son of a veteran Actor, a friend, a drug addict and finally as an Actor who survives highs and low in his career.